Alright. This is the first review I have ever submitted to RMN and also the first review I have written in a very long time. Even if my writing may have gotten a bit rusty, I hope this review manages to serve its purpose. 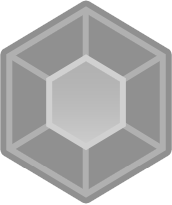 Shards of Xar, created by Shadowsaw at rpgmaker.net. Reviewed by Happy. I'll say my expectations of Shards of Xar were not very good when I pretty much just jumped right into the game. I did spend one minute to read the synopsis of the game on its gamepage, but it didn't really promise anything exciting. I still decided to give the game a chance to show its strengths. Let's begin with the written content of the game, even though it's sadly one of its weakest parts. The game begins boringly with a mundane introduction scene where you get a short description of the world where the story of the game takes place in – in this case a place where everything's been well in balance, until shady creatures have started to lurk around here and there recently. 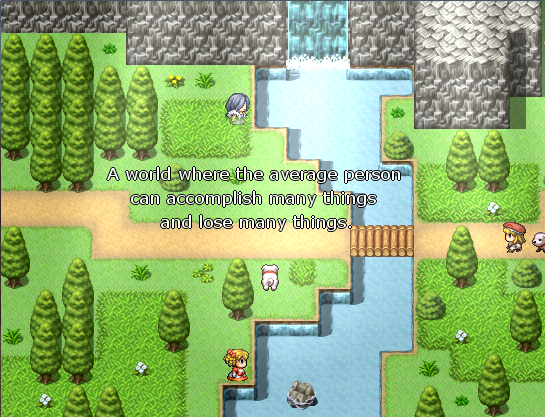 So nothing new, really: it's something you've seen in 90% of RPG Maker games during their first five minutes. The scenery in the introduction was pretty, though, and the introduction didn't last too long, though that is no wonder as the narrative doesn't actually tell anything substantial, or anything memorable. After the introduction you get a control of the character rather quickly, which is nice, and at this point the game shows some kind of promise of being entertaining. You're in the shoes of some kind of mercenary and heading out to dry run. The atmosphere is fraught with action: your foreman demands results! This is almost the only part in the game where the writing feels vigorous and adds to the progression of the game smoothly. But the problems begin as soon as you manage to get your hero to the nearest armory where the guy chooses to start a monologue complaining he didn't take his personal weapon with him to the castle - which feels weird considering he's surrounded by weapons. It also feels annoying to read a contemplating dialogue while you can see a shining indicator on the map pointing at a crate which holds the gun that your guy will be holding in his hand in the next 10 seconds. Unfortunately, from here on the monologues are a part of the game, and even the plainest thoughts and questions of the insecure hero have been dressed in words. That's not all, but sounds like "sigh" and "laughter" have been written to the dialogue to flatten the atmosphere even further. The biggest problem with the dialogue is that it drags around too much and explains things without taking advantage of the reader's assumptions. The result is that you have to read a lot of truism and things that you'd notice even if they weren't addressed by words in the dialogue. In addition to that you have a protagonist that is impossible for the player to identify with and a lot of cutscenes missing a sensible direction whatsoever. For example: during a scene where you're marching out of the castle the characters decide to talk about the weather instead of adding anything substantial to the plot. It seems as if the writer himself doesn't know what he wants in his story to happen, but decides to advance the scene progression through the protagonist who's speaking out loud just about everything he thinks. It feels like the whole process of making up the story would happen in the dialogue itself: "First let's think how the scene should progress, then let's take it a bit forward. Then let's recap the whole damn thing and wonder what's next." Why is this all included in the dialogue? In my opinion it would be better if the writer would plan out whatever he wants to write about and then would strive to write it all so that it would make the player feel and think in the desired way. Instead it feels like the writer doesn't know what he's writing and is pondering it all in the dialogue itself. Tormenting examples of that the writer hasn't spent enough time planning the story and dialogue are parts where the characters thank and welcome each other in the dialogue, and also a fourth wall breaking scene, where a character tells you that you can save, and our hero thanks her for that. You can also notice silly illogical parts, like one where a group of mercenaries is leaving out to the wild to practice, but it isn't until there where they're allowed to introduce themselves to each other for the first time ever. In other words: their superior has decided to collect a bunch of strangers, arm them up and march them all to perilous wilderness for practice without giving them a chance to know each other? Sounds like a good setting for some sort of Battle Royal, but not necessarily a way to go about saving a kingdom... It doesn't sound as bad in this review as it seems in the game. It's just that it begins all epic: "Hey let's kill demons!" and when you get to the wilderness it's like: "Hi, I'm Alex!" "My name's Timmy!" Another example is a situation where our heroes are pondering the true identity of a lady who's been acting suspiciously. The quick conclusion our heroes make is that the person in question must be an assassin. Why? Because she wields daggers. So if we conclude that any person wielding a dagger must be an assassin, wouldn't that pretty much kill the secrecy of the profession? Kendra, after she hears the person in question was wielding a dagger. In some parts of the game you also have to wonder about the progression of the events, like why have all your mercenary buddies decided to go home chill and only leave you a message in a magical orb placed in middle of crossroads, starting it by saying that they hope you're still alive. In addition to everything else, some things are repeated unnecessarily, while some aren't enough: I am in a room that has a teleportation device and it turns out that it only works with a magical stone I have. Sounds simple enough, yet my friend Mrs. Holmes feels a need to recap it to me later on. In comparison: in the introduction of the game you're being told that the mercenaries you're introduced to are hired to fight against demons, but later on after you've went out in the field you don't get any descriptive short-term goals explained to you. Soon you'll find yourself wondering who you're fighting against, where, and why. This is pretty much the part where you start hitting your head on the wall. Even if the written content of the game has numerous issues, you can still find some good things too: the atmosphere manages to be pleasing for the most part of the game. Music has been used well most of the time and it manages to help the weaker parts of the game by creating atmosphere which strengthens the purpose of the game sequences. There were also few moments when the music choices sounded terrible, like the title screen tune and the part when your lady friend goes Sherlock Holmes. Also the level design of the game managed to be pleasing for the most part, or at least satisfactory. There wasn't really a time when I would've thought the levels looked ugly. At times there were a couple of things that could have been improved, like layout of some objects, but overall the color choices, composition and variation of the levels worked rather well! The structures of the passageways in the levels worked well, too, even if they were somewhat linear. It would be cool if there were a couple of treasures to find along the way in the future, and if it would require a bit more work to unlock the path ahead of you. As some bad parts of the visual design I can think of the white text during the introduction, which was hard to read against light and colorful background. The thick black border frames of the dialogue window felt a bit iffy too, though the blue colored highlight of the same window set was very pretty. Screen tints that were used for saving the game and the teleport sequence felt a bit too strong and colorful, too. There's not much to say about the game mechanics, because in this version of the game there isn't really anything customizable. You can survive the battles simply by smashing buttons with your eyes closed because your first party member beats the monsters up 20 times as hard as your hero does, even though she's just a pretty blue-haired girl. Note: while your hero can't even strike down a basic slime. The game mechanics could use a lot more improvement and balancing. It's disturbing that the numerical values of your attacks vary a lot depending on the enemy you're attacking. It's hard to make sense of your character's level of performance when the same skill deals around 20 damage against normal monsters and in a boss fight the same skill deals does multiple times that amount. The last boss of the demo did already feel a bit more challenging, though it wasn't exactly a hard fight, either. But the difficulty felt appropriate for an early on boss fight, at least. I also felt like the damage gap between normal attacks and special attacks was too big, at least when the supply of Mana restoring items was high: why would I even bother using normal attacks if I'm able to spam special skills that deal multiple times more damage? A good thing I can say about the game flow is that any of the game areas didn't get boring and numbing. The game sequences were paced well and you were in control of the character often enough and for suitable amount of time. I think that in the future the dungeons could even last a bit longer! On the moment I got a control of the character it felt like the game could very well manage to entertain me, but the shaky storytelling started to bother me too much at least at the point when the plot started to advance too fast by showing me cutscenes involving some next tier villains, while I wasn't even sure of my character's role in the whole scenario so far. I think it would help the game a lot if shadowsaw would spend more time to plan out the story of the game, which would also make it easier to decide what happens in the scenarios of the game and deciding which things would be logical to include in the dialogue of the characters. In other words: plan out the story first, and express it with the game – don't use the game to plan out the story. Things I enjoyed the most were the satisfactory level design and most often a well crafted atmosphere through good music choices. Thank you very much for the review, Happy! I seemed to focus too much on bug-testing and testing general flow of the game rather than connecting pieces and making sense of things. -I'll remove as many immersion-breaking moments as best I can take note of, e.g., Jerilyn saying you can save and the main character says thanks. -The plot hole with The Message Ball and Bert and them and their disappearance has escaped me numerous times. Sorry. 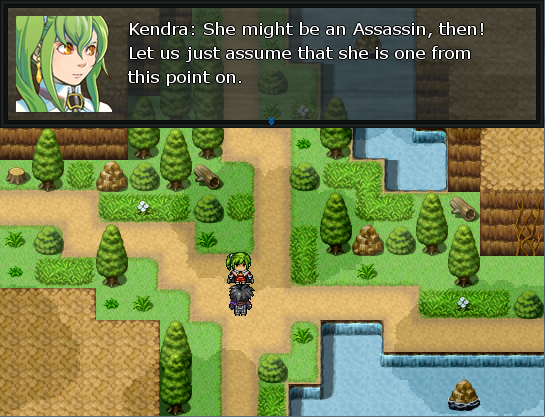 -Kendra the know-it-all will be toned down in terms of how much she seems to know about things. -I tried to make the game feel like nothing goes according to plan and any purpose at hand is left in questionable status. Maybe I can try and go about it better with some narrating. -I want to keep the main character as a guy who has a lot of thoughts. Some obvious and some silly, I'll try to make his thoughts more relevant. -The assumptions I'll try and convert to acknowledgement of a situation or maybe something that is relevant. 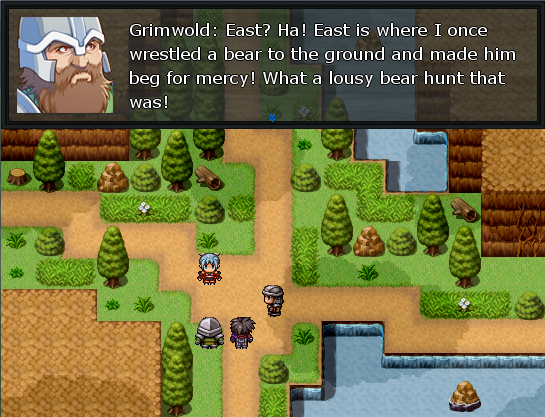 If it is obvious, it'll stand just to remind the player about details regarding something. -I've never been very good at planning out stories. I always scrap ideas and change story flow way too often. This also ties-in with how I don't want the player to ever feel like anything ever goes according to plan. It is such a mess and I agree. All I can say is that I'll do my best to make sense with all the confusion that is there. -I want the main character to feel underpowered and weak in comparison to others because of how inept he is. I'll have to remove the label of him being a "hero". 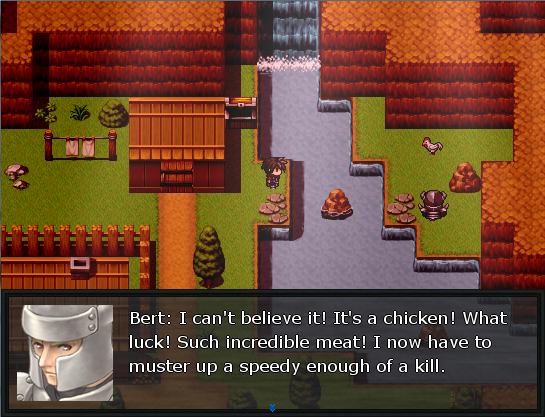 -I'll try to add some layers or depth to the combat system. My ultimate goal is for the combat system not to feel too complex. Some progression maybe towards customizable skills would be something I'll look into. I'll see how I can find a medium for this. -I'm looking into making skills more tactical and having a reason for being used other than for damage. Some character(s) will still remain damage dealers though. Again, thank you very much for the review! It has helped give me greater vision towards what has been eluding my hindsight because of focusing too much on making sure the game functions more than all else.